The life-size plastic model responded to English-language commands, picking up and dropping a small ball and swiveling its head to follow people. 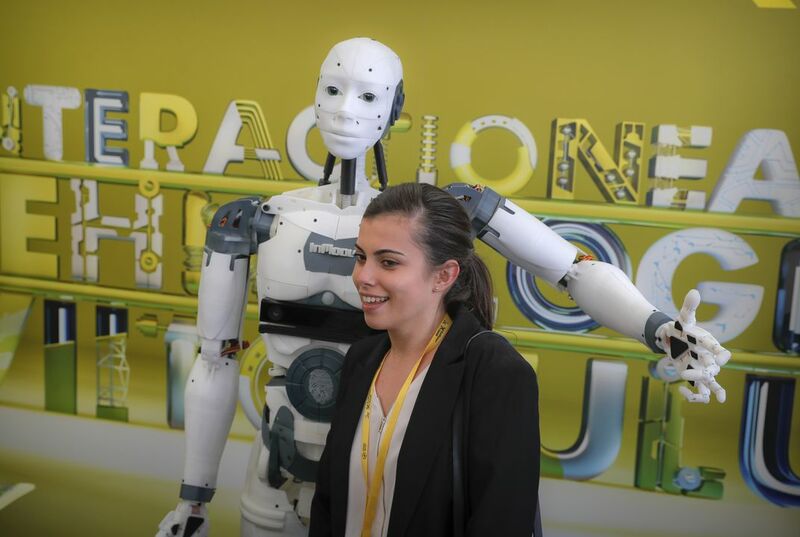 Designer Gael Langevin unveiled the robot at a technology fair in Romania, from an idea developed from a prosthetics hand he made in 2011, the first-ever made on a 3-D printer. The robot is made with a 3-D printer and micro-cameras. 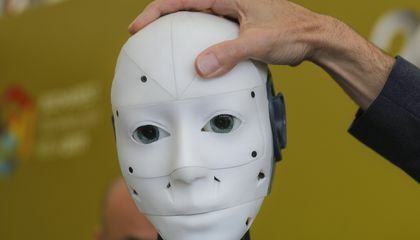 It is hoped the robot will be used to help children in schools and hospitals, and if connected to the internet, it can answer a variety of questions taken from Wikipedia. "He is awesome," said Adrian Margineanu, a student at Bucharest's elite St. Sava school. "I like it a lot, I'm tempted to make one." For those who don't want to assemble it, InMoov offers a list of builders in different countries and Langevin estimates that more than 1,000 DIY robots have been made by people who followed his design. His robot can be programmed to speak English, Spanish, French, Russian and Dutch, but Romanian graphic designer Paul Popescu, 35, has been assembling his own robot and has plans to program it to speak Romanian. A basic model costs about $1,665. Why does the robot use micro cameras? The robot uses micro cameras to see the people so that it can swivel its head to follow them. The robot also uses the micro cameras to see the ball or anything small that it needs to pick up. The robot uses micro cameras to see in its environment. The robot's sight will be used for moving its head towards people or for picking up and dropping objects such as balls. The robot uses micro cameras to see in its environment. The robot's sight can be used to move its head towards people or to see and pick up objects like balls. The robot uses micro cameras to help them see the children in schools and hospitals. They also use micro cameras to see what they are picking up,dropping a small ball,and swiveling its head to follow people. Robots are shaping the future in every way. This robot will help kids in schools and hospitals. I would call it a tutor robot. The robot knows 5 different languages so it can help foreign exchange students from different countries. This robot is a great idea because someday it will probably replace teachers.